Jason Michael Ludke made contact with an FBI undercover employee on an unspecified social media platform. 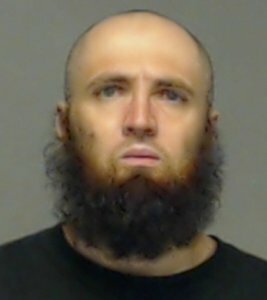 The FBI undercover employee, pretending to be affiliated with ISIS, encouraged Ludke and his friend Yosvany Padilla-Conde to join ISIS. The pair drove from Milwaukee, Wisconsin, to San Angelo, Texas, where they were arrested. According to Padilla-Conde’s statements following their arrest, the FBI undercover employee was to assist the two men in crossing the border into Mexico and then traveling to Iraq or Yemen.